I wonder if, looking back a few years from now, “Halfslaap II / Stiltetonen” may prove to be a turning point in Machinefabriek‘s discography – a cautious transition from ‘improvised knob-twiddling’ (his own words, not mine) to composed music played by musicians…. Listening to this version of “Halfslaap II”, it’s interesting to know that Rutger Zuydervelt is currently working on a transcription for a String Quartet version of this piece. But that is a thing to happen in the (near) future – thís particular recording is a score for solo violin loops (played by Anne Bakker) and electronics. “Halfslaap II” is a 35 minute variation on “Halfslaap”, which was previously released in 2010 (and can also be found on “Diorama“ from 2012). On this new version, the tiny bell sounds are replaced with the violin theme loops. After the repetitive loops have settled, they retreat to the back almost unnoticed, slowly merging with the the electronic soundscapes that finally take over completely – “pulling the listener in some sort of dreamstate” (the title obviously means “half-sleep”). 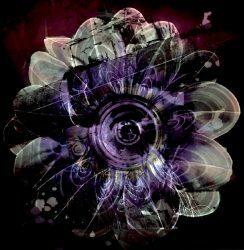 The process is not unlike the music of William Basinski. 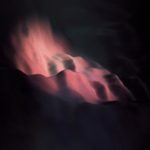 But while Basinski deals with deterioration and decay (especially of the media used for recording), “Halfslaap II” ‘s theme is aboutdissolving.. If you dozed off listening, the second piece on this album may help you wake up again. “Stiltetonen” is a soft, bright, tinkling piece of quiet notes, a re-arrangement of an original piece created for a location installation in Amsterdam, intended to play continuously in a small alley. The resulting sound is not unlike the generative installation music as created by Brian Eno. 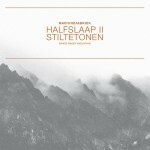 “Halfslaap II / Stiltetonen“ is released on White Paddy Mountain, a Japanese label run by Chihei Hatakeyama.